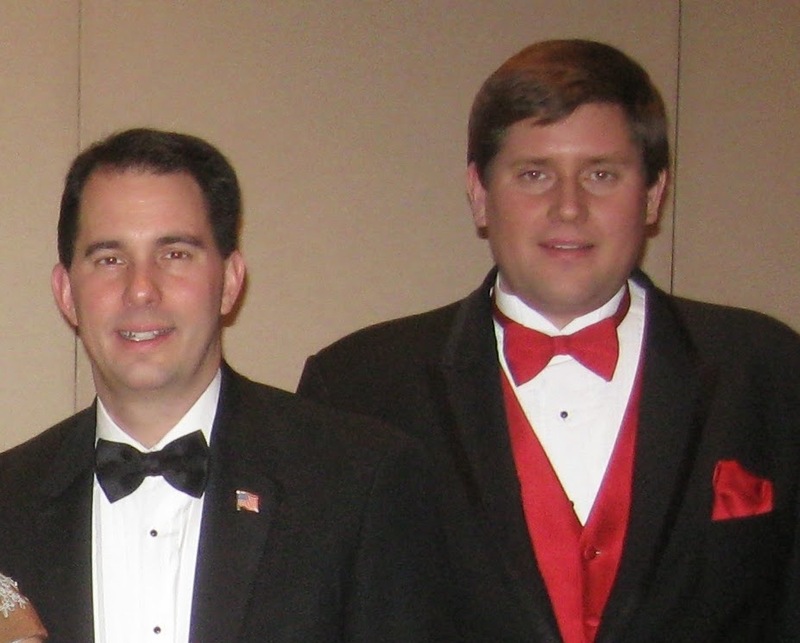 A wealthy Wisconsin donor contributed $6,250 to an outside electioneering group that supports Republican Governor Scott Walker around the time the contributor contacted the governor and sought to change the state's child support laws in his favor. The contributor, Michael Eisenga who is president of American Lending Solutions in Columbus, was among 19 donors who contributed a total of $1 million in 2013 to the Republican Governors Association's 527 group. The RGA's state political action committee recently sponsored its third television ad slamming Democratic candidate for governor Mary Burke in her bid to defeat Walker in the 2014 fall elections. Eisenga's first-ever contribution to the group September 10 came in between two direct contributions totaling $9,500 to Walker last March and December. In addition to the direct contributions to Walker, Milwaukee Journal Sentinel columnist Dan Bice recently reported Eisenga contacted the governor last fall about changing the law and sent Walker an article about an appeals court ruling on Eisenga's divorce and child support payments. But legislation to do just that by GOP Representative Joel Kleefisch of Ocononomoc was pulled after media reports - here and here - detailed Eisenga's role in writing the bill. Campaign finance records show Eisenga has contributed $43,625 since 2001 - all to Republican candidates for statewide and legislative offices, including $19,500 to Walker and $10,000 to Kleefisch and his wife, Lieutenant Governor Rebecca Kleefisch. It also was reported that Eisenga’s former wife claims political donations were made in her name without her knowledge or consent. If true, the contributions would be illegal. Other media reports said Eisenga’s company was the largest violator of the state’s “no call” list, soliciting more than a million individuals on the list. Eisenga also managed to put his children on BadgerCare, the state health care program intended for low-income families, despite a net worth estimated at between $20 million and $30 million. and how much money his pal SKW will save him. I'm beginning to wonder if there are any redeeming qualities to be found from these greeeedy life forms. They're beyond disgusting. Anyone voting for a Republican is one sick, hopeless weight against humanity. The GOP mantra:"CORRUPTION is THY GOD".